On the other hand Airbending philosophy is far from being combat-focused, while other styles, especially Fire, embrace that aspect. People raised in "thou shall not kill" rules have a strong principle against hurting others that breaking it even unintentionally may deeply harm their mentality. Theoretically there would be no reason why Airbender couldn't just choke the opponent to death, but that just don't fit the image of peaceful people who use their forces just in defense. Maybe their peaceful ways were developed as a response of their own power to prevent it from being used in evil ways? Yes, I am an Avatar Last the Airbender fan. "The sword is a simple tool, but in the hands of a master it becomes the most versatile of weapons, and just as the imagination is limitless so too are the possibilities of the sword." --Master Piandao. Just take out "sword" and insert a bending element. It's that simple. The master with the greatest imagination will win. Bumi. Craziest guy to live for over a century. Found more ways to earthbend than even the avatars had; cleared omashu of firebenders in roughly 20min or less. Toph. Created metalbending. Need I say more? I will; she needed the open-mindedness of realizing that metal was just purified earth. Iroh, Not for his bending, but for realizing that waterbending moves and theory could be used to re-direct lightning. Didn't BlackPanther just finish establishing this, in slightly different and more pithy wording? ATLA_FAN, I think you're forgetting Hama. She had to come up with some very creative ways to get water when it wasn't readily available, and invented an entirely new technique just like Toph. Sandbending is Earthbending. But what is to stop an Airbender from manipulating the soft substance? Um, gee, I don't know, the fact that it's not air? You can blow a bunch of dust at someone. Doesn't mean you're controlling the dust itself. It [airbending] can be warm or cool. My apologies, I should've been more descriptive about airbending-sandbending. Air can work like levitation and can penetrate all areas of space. Sand is composed of tiny rocks individually on their own. 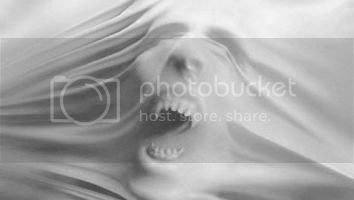 A veil of air can be enclosed around each one (or at least roughly) and puppeteer it. I wasn't speaking of just blowing dust at someone. That is much too easy. Since sand is so soft and fluid, airbdending it can be extremely easy. If waterbendings can change water into ice, then why can't an airbender change the temperature of the air? Even if the temperature is strictly for waterbenders and firebenders, there is nothing to stop air from carrying over the temperature from somewhere else. I don't think that the waterbenders actually control the temperature of the water, just the state that it's in. They don't need to heat or cool the water to make it do what they want it to. Don't understand bending huh Mr. equality. This must be why you don't like bending Amon Just playing didn't mean for that to sound rude. I'm just playing I know what you are saying. You are saying that if an Airbender is in an area that the air is warm, the air that they bend will be warm right? Because if that is what you mean then you are right. But if you are asking why can't an airbender change the temperature of air it pretty much goes like this. An airbender could theoretically pull air around them that just so happened to be warmer or cooler to make the air a bit cooler or warmer. However that still is pretty much allowing the temperature to change naturally. It wasn't the bending that changed the temperature but the heat in the air going in to that of the colder air (If it works like that in the Avaverse). But this technically is also a limitation for earthbenders too. Earthbenders can't control the temperature of earth, though in theory they can move earth that so happens to be warmer or cooler and meld it with other parts of the earth to cool or warm it, I guess. But still the temperature changes on impact and not by bending. Imagine how messed up it would be if an earthbender could change the temperature of earth. Even though we don't know if lavabending would count as earthbending for sure, imagine an earthbender being able to heat the earth into lava. That would be messed up, and I'm sure that they don't want that to be possible. I still think Airbenders would be terrifying if they weren't pacifists. They can fly, have super speed, and can possibly mute their movements as well as create a vacuum in a person's body. They would make the perfect assassins. You make it sound as if waterbenders can just simply turn water solid. But that's not possible unless the temperature was changed. Ice is frozen water. Glass is technically (not really) heated water. How can you make a solid out of water without changing the temperature? Sure you could just hold it there but waterbenders can create ice and just leave it there without holding it. We have seen waterbenders in the Avatar Universe create ice out of water in moderately temperate areas. How can they do that if they can't change the temperature? Someone confirm or debunk my science. What the waterbenders are doing is simply compressing and expanding the element. Temperature is a matter of the molecules vibrating. When you compress water enough it gives off heat and becomes solid, getting cold is a symptom of that. When you expand water molecules, there is room for heat, but it doesn't get hot (difference between water vapor and steam) unless there's heat energy to move between the molecules. So no, they shouldn't be able to control temperature. Ice is a side effect of compressing water. Heat is not a side effect of expanding the molecules of water. IF they could vibrate the molecules of water, THEN they should be able to generate heat from the energy the vibration gives off. However, i think bending is too spiritual for the bender to be capable of that kind of intricate manipulation. This is an assumption based on the one air temple we have already seen, but as with the water tibes, the air temples are likely to be radically different on each corner of the world. Aang probably didn't even know about the culture of the other temples, since it doesn't sound like he visited them much. There could have been an Air Temple that had a secret group of assassins (ninjas?). A fic where I convince you that Mako will be the Dark Avatar. I think waterbenders can control temperature. Cause then what is happening when they use ice breath? Airbending is the most powerful element. No sword can be as sharp or deadly as a blade of air molecules, a wave of an airbender's hand could expand the air in someone's lungs to the point where they explode, and airbenders are constantly surrounded by their element. No matter where on the planet you go, air is always there. The only problem we ever have when it comes to discussing the strength of any bending form is just that the show is still targeted at young people watching Nickelodeon. We'll never get to see someone being chopped to pieces, or have witness as their lungs are blown up. This is probably one of the few flaws with creating a universe with such a broad-spectrum method of committing supernatural acts of violence. Because it is for kids, no one will ever think to use their bending in the most logical fashion. And even when we do witness some of the darker uses for bending (such as bloodbending), they tack a limit on it (full moon only) and also do not show it used violently. If a practiced bloodbender was going to use bloodbending honestly, why bother using humans like puppets? Take control, slash their wrist, and use your bending to drain every last drop of blood from their body. As fun as it might be to discuss the potential "most powerful bending art", we'll never get to see that potential realized due to the limitations of this show being broadcast on what is still essentially a children's television network. Molecules and compression is where I gave up. XD Can you simplify your statement? What he was saying is that when they compress the water that it expells the heat, then when they expand the water, it absorbs the heat again. I'm not sure if this is how it actually works since I know next to nothing about science. I did, thanks for noticing that. I'll repeat what i said above; it's not the element being bended, but the bender that makes the element the most powerful. It's what you can do with the elements. Let's say you pit Zhao against Pakku under a full moon. Who will win? Alright, now let's say Jeong Jeong vs. Pakku, no full moon, no comet. Who wins? I don't think molecules air can physically cut anything, they are not dense enough. If a bender were to compress air to the extent that it were dense enough, it would become liquid gas. Earth benders never bent the amount of their element that the other types of benders were able to bend. Water benders summoned enormous waves while earth benders were reduced to throwing modest sized rocks. If we balanced the of mass that a water bender bends with the mass that a earth bender bends, most earth bender attacks would be kill on sight. Technically and scientifically speaking, the mass in a lot of water would be literally equivalent to substantially smaller amounts of earth. Think density. Your poor wording aside, this is somewhat true. Bumi was seen lifting and toppling a huge statue of Ozai in Omashu. Toph "bent" a huge building of stone (Wan Shi Tong's Library). You might be interested in the thread that compares Toph and Bumi. http://forums.avatarspirit.net/index.php?topic=14510.0 Why no other benders displayed anywhere near this amount of sheer strength, I have no idea. Chalk it up to being prodigies, I suppose. I actually made this thread with the intention of discussing the potential of each element beyond their power displayed in the show. I know the elements are designed to be completely balanced in the show but using our imaginations and some understanding of physics we can see that is not so. I believe each element if taken to the extreme in certain situations can be completely overpowering over the others. Like a previous poster said, these powers cannot be shown on the show due to its young target audience. But I am asking for some imagination here. Air: Like the concept of blood bending, air too can be used to take advantage of the human body. All humans have air in their lungs (also in their blood but that is in a dissolved form so I don't think that applies), couldn't a dark form of combative air bending be derived from removing the air for an enemies lungs causing their lungs to collapse and thereby suffocating them? Pakku if he has water available. Pakku's water would absorb all of Jeong Jeong's heat until it turns to steam. Considering water's high specific heat, that is a lot fire that Jeong would need to throw. If Pakku had a river or a lake to his advantage, Jeong would be helpless. I did, thanks for noticing that. I'll repeat what i said above; it's not the element being bended, but the bender that makes the element the most powerful. It's what you can do with the elements. Agreed. Toph and Haru are both earth benders but Toph can kick Haru's sorry behind anytime of the day. It's the person's skill that makes an element powerful, not the element itself. Season 1 Zuko was easily defeated by Katara in the season finale but the if they were to have a rematch at the end of season 3, they would have a very hard time gaining the upper hand. If a practiced bloodbender was going to use bloodbending honestly, why bother using humans like puppets? Take control, slash their wrist, and use your bending to drain every last drop of blood from their body. 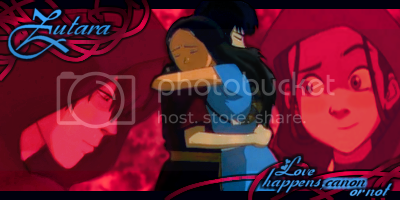 http://www.fanfiction.net/s/4549867/1/Baptism <- Scary!Katara vs. Azula FanFic. I see what you're saying. The drop in temperature could be an effect of the compression, not the cause. Though, the way Katara simply blows out a breath of frost, instead of making a "compression" motion with her hands, suggests otherwise. Eh, that's a cop-out/god-mod. Levitation is levitation. Airbending, as we've seen it, can support weight, like the air scooter, but I don't think it would be precise enough to do what you're describing, and if it were, what would be the point of it being airbending? What would distinguish it from plain old moving objects, of any description? Not quite sure what you are saying here. That airbending wouldn't be airbending anymore? Your theory falls short because water is an incompressible liquid. I thought Katara converts the state of matter of water by changing the speed at which the molecules "vibrate". edit: actually that would actually make her style of bending more fire bending than water bending....so I guess that theory doesn't work either. Maybe she "firebends" water without emitting light? I think airbending could be used to lift sand or water either one, as long as it's in constant motion. For example, an airbender could levitate a ball of sand but it would have to be in a ball shape, and be in a constant spinning motion similar to Aang's air scooter, and the same could be applied to water or even an already lit flame, so under the right circumstances airbending can become a(n extremely limited) version of any type of bending. It's not really enough to be very useful in battle, but perhaps it could give an airbender a slight advantage under the right circumstances (a room with a lit torch could let them throw fireballs that will also have normal air powers, or they could blind their opponent with a sand ball in the face). Straight levitation on the other hand is something that they just don't have. Let's say you pit Zhao against Pakku under a full moon. Who will win? Problem is he can, he generated the largest amount of fire without the comet and has an unlimited supply of his element. Very true but toph has a special ability that allows her to excel at a rapid rate. Water is absolutely compressible, it just requires A LOT of pressure, which is why its commonly referred to as incompressible. This is where we cross into the realm of avatar and the suspension of disbelief. Water benders can "move" water molecules. To compress water, they just need to move the molecules closer together, it should be easy for them considering how readily water shifts from state to state when they are pushed together enough. To "vibrate" the molecules i imagine would be much more difficult. BUT, maybe a higher level waterbending is capable of "vibrating" (perhaps Avatar level waterbending?). Probably what guru pathik means about the "illusion of separation". Down to their core these elements might be able to overlap each other in some form or manner (something only the Avatar spirit understands and therefore more spiritually connected to all four elements). Oh you are right but the kind of energy/force required to "compress" water into ice verses the energy to simply remove heat from liquid water is drastic. Water is commonly referred to as incompressible because any pressure exerted on it is just transferred rather than absorbed. There is a little bit of resulting volume change but very very miniscule amount. The energy released and temperature decrease in that case would be minimal as well. As you know, ice has greater volume than water so considering all this it is logical to deduce that it is not the result of "compression" but temperature decrease. Fire: Seeing as firebenders have the ability to use lightning, we can speculate that they have the ability to move electrons and protons at will. This allows them to separate the two at will and create voltage (potential for electricity). Lightning is created by electrons shooting (through air which is not very conductive actually) and striking a lower potential victim. Therefore, it makes sense that weaker firebenders cannot shoot lightning as far or as powerful due to the low conductivity of air which requires an enormous amount of voltage in order for any current to conduct through it (a typical lightning bolt has about 1 billion volts). But, on the flip side, fire works to my understanding in the opposite way. Using separated protons to react with oxygen to create heat. A problem with this theory is that intial heat is required in the reaction to break the natural covalent bond between 2 oxygen molecules. Water: Benders can move water as well as increase and decrease its temperature. Waterbenders cannot compress water (effectively). Earth: Benders can move earth and compress or decompress it. Temperature cannot be controlled by earth benders. Airbenders: Benders can control air pressure and move air molecules around.